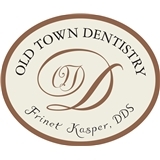 Frinet Kasper, DDS - Old Town Dentistry (Alexandria) - Book Appointment Online! My time was spent primarily with the hygienist for the cleaning, and it was very good service. The hygienist was a very warm and helpful person, as well as competent.